HOLLYWOOD JUNKET reporter and photographer, Jules Sanchez captured some of reality television’s biggest stars as they arrived today at the Hollywood and Highland Complex to rehearse and prep for the big night tomorrow, the 84th Annual Academy Awards! "Dancing with the Stars" alum Cameron Mathison. Tabatha Coffey, star of "Tabatha's Salon Takeover". 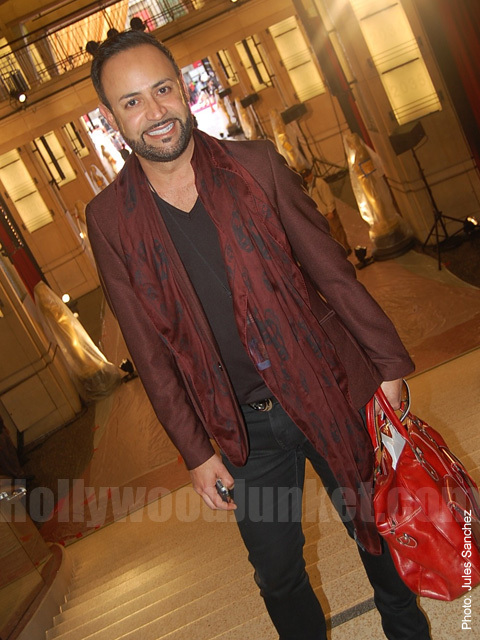 Designer and former contestant on "Project Runway" season 2, Nick Verreos. "Project Runway"'s Tim Gunn rehearsing. "Project Runway" judge Nina Garcia with former contestant Nick Verreos. Nina Garcia (center) locking-in final details for the Academy Awards show.